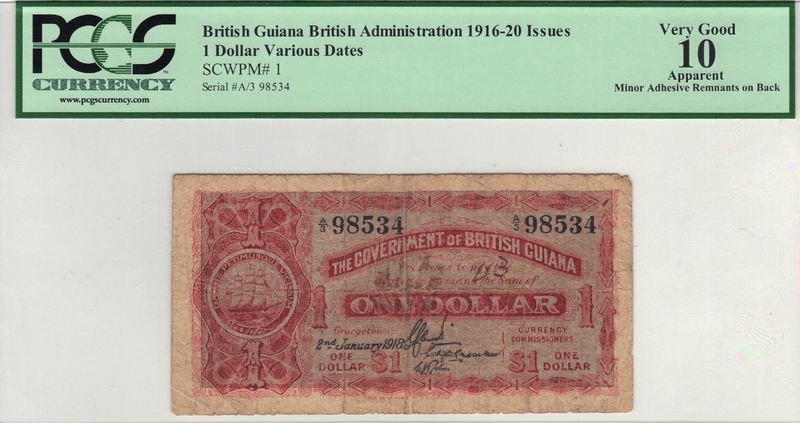 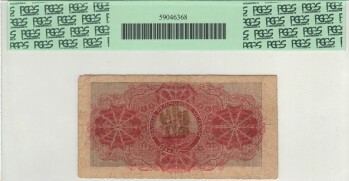 This is the earliest type of paper money issued in British Guiana while it was under British control. 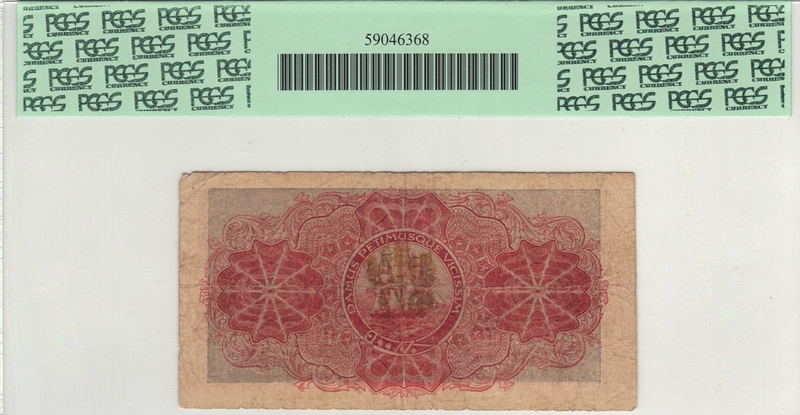 These are scarce banknotes and the grade here is about par for the course. We had a very difficult time finding comparable sales, but we feel like our estimate here should be about right.